Kevin Davis argues that if the vastly diverse independent media across the nation can work together, upstart outlets would see their shared purpose. Then they might also share some of the innovative revenue strategies that break from the conventional advertising and subscription goals that they’ll need to survive. As the report from the convening organization Journalism That Matters states, the group included “an exceptionally diverse mix of individuals who identified with the independent news sector.” Yet the organizers felt that defining independent media would have been restrictive going into the meeting so that a broader view of what independent journalism is actually came out of it. Freelancers and full-time employed journalists, publishers, organizers and funders, operating in both for-profit and nonprofit organizations, sat down together, talked and argued to be as inclusive as possible in order to ensure that each group continues to be at the table and fully represented. 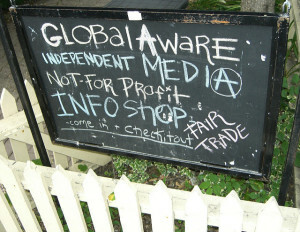 That there are vastly more similarities between these different types of independent media – including nonprofits, public media, socially-focused for-profits and freelancers – than there are differences was a bit of a revelation for me, having spent the last five years focusing on a subset of the larger independent news community, the investigative nonprofit news organizations of the Institute for Nonprofit News. For me, the evolving independent media sector includes those individuals, companies, projects and even platforms that serve the people they inform, not shareholders. That management – if not ownership – is based in or of the communities served while being beholden to no single entity’s interests. In this case, when I talk about “community” I am referring to groups of commonly identified people; whether on a local, regional, national, ideological, cultural or topical basis. Ideally, these media should also pursue transparency, providing an individual the ability to make up his or her own mind about the veracity of the work. While the number of nonprofit news organizations in the U.S. continues to show strength, the number of people, projects and companies in the independent media sector as defined above is significantly larger and, therefore, should have more leverage and buying power. It’s unclear how big a tent this is. Whether these folks can organize and play well together is maybe the more important question. Right now, the larger independent media space is fragmented, underfunded and does not have the structures in place to realize the benefits of its potential scale. Yet, there are clear examples of independent news organizations around the country and the globe employing different revenue strategies that unlock local and regional revenues in ways that go beyond traditional advertising and subscription models. 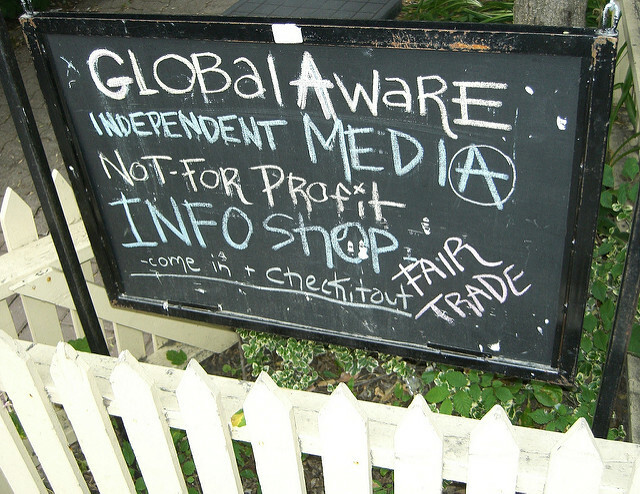 While funding and business models remain challenging for all media, the big tent of independent media will play a larger role in our media landscape and society, providing we can find financial equilibrium through operating scale and a diverse revenue mix while offering fiercely independent journalism, brands and communities. This entry was posted in Independent Media and tagged indy journalism, Nonprofit. Bookmark the permalink.